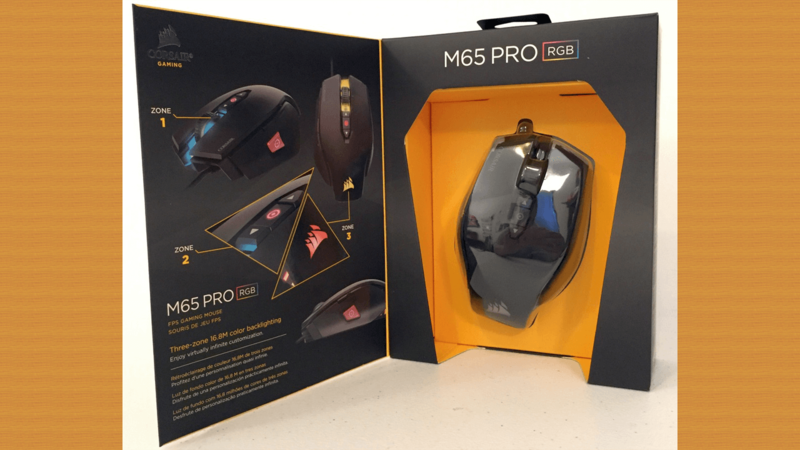 Corsair provides gamers with some of the best there is when it comes to a gaming mouse We had the opportunity to test out their M65 Pro RGB Gaming mouse and wanted to share information regarding the product with you. 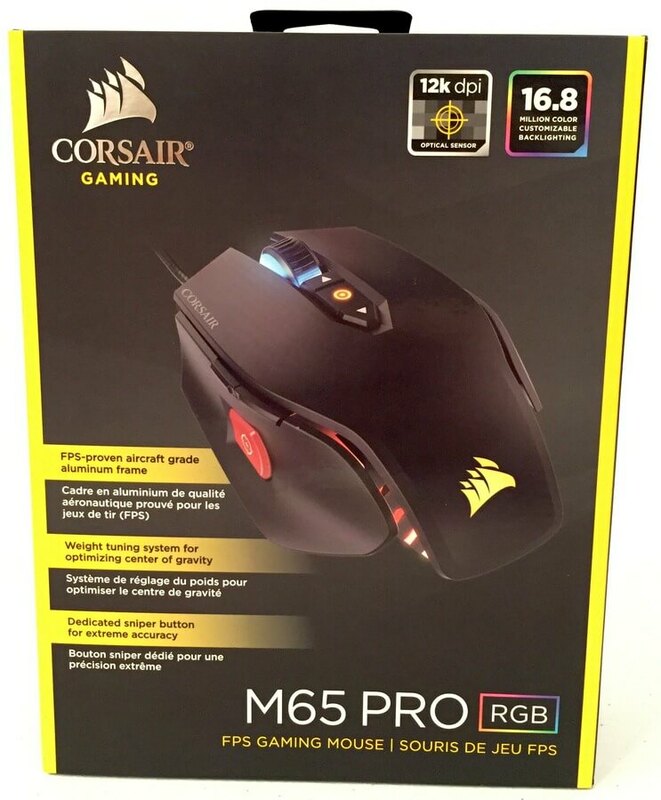 This is a new version of a previous M65 RGB mouse with some really cool updates. Some of the features that were continued with this new design included the Corsair Utility Engine (CUE) which is the software utility used to program the buttons, configure mouse settings and you can even set up different profiles and save them. The CUE system appears to be fairly user-friendly, which is nice. Some may not love the fact that you must download it instead of getting it on a disc or some other form of storage device. The Adjustable weight system is pretty nice and gives the user the opportunity to set the mouse up to fit their needs and preferences. I didn’t find the weight to be too heavy with the adjustable weights off but I could see where some might find it heavier than they may like for their taste. The mouse fits fairly nicely in your hand with a rubber-likesurface on top and plastic textured sides that feel very sturdy and should be able to take quite a bit of wear. The scroll wheel is a little larger than your typical wheel and appears to be made of quality products to withstand all those gaming moments. The mouse itself, thanks to its aluminum structure, gives the appearance and feel of a very quality-made gaming mouse. The weight of the mouse is a little “heavy” Personally, all the buttons on the mouse sometimes made it a little “crowded” but I understand the benefit of having them, as well. Surface Calibration automatically optimizes the M65 PRO RGB 12000 DPI sensor precision and responsiveness for your playing surface to ensure excellent tracking, no matter the surface or environment. The surface calibration setting are located on the settings menu under the Device submenu. You follow the instructions to calibrate the mouse to adjust to whatever surface it is on. This update is significant because the sensor was previously an 8200 DPI laser sensor and now it is an optical sensor which tends to provide more accurate tracking than laser sensers. 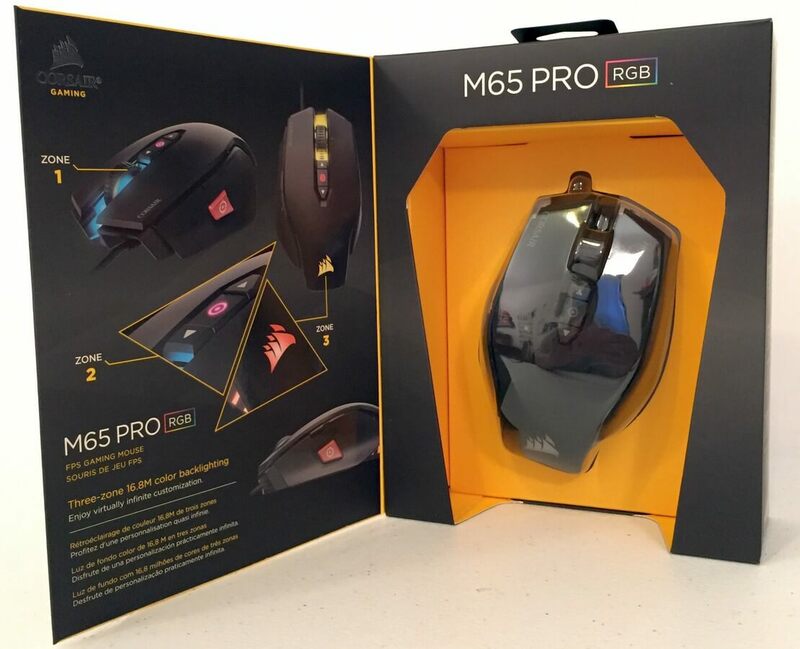 This mouse is available at different retailers such as Amazon, Best Buy and NewEgg for approximately $56. 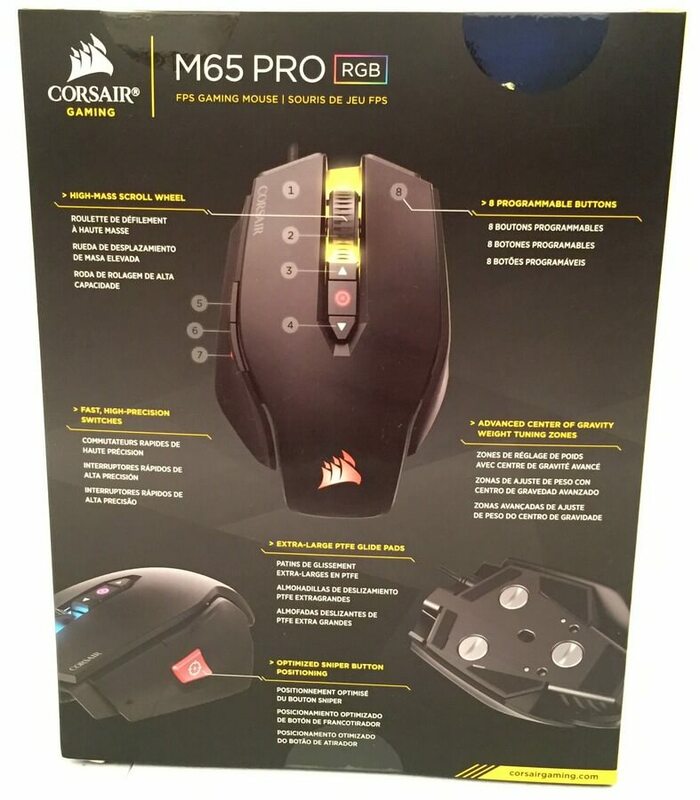 The M65 PRO RGB features a 12000 DPI optical sensor that provides pixel-precise tracking and advanced surface calibration support. The aircraft-grade aluminum frame gives it low weight, and at the same time, extremely high durability. CUE system must be downloaded.